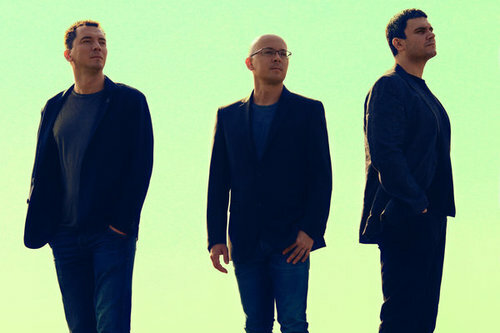 This week Marcin Wasilewski Trio fly to Latin America to present new album „Spark of Life” and perform series of concerts at the Southern America’s jazz festivals. After very successfull first part of the tour promoting the new album „Spark Of Life” in October, during which the Trio with Joakim Milder played nine concerts in Polish cities and one in Berlin, now the Trio will visit three cities in South America, playing at the jazz festivals. On the invitation of the Polish Ambassador in Buenos Aires- Jacek Bazanski, who initiated Trio’s visit in Argentina and Adrian Iaies- local pianist and artistic director of BAJF, Trio will play on the 22nd November in Usina del Arte concert hall. A day before Trio will be hosted by Cordoba Jazz Festival to perform at the Teatro Libertador. For the final of this trip band will visit Santiago de Chile, the fastest growing city in the region, located between the ocean and the mountains, and thanks to invitation of the Polish Ambassador Aleksandra Piątkowska, will inaugurate the European Jazz Festival on the 26th November at the Patio Bellavista in Santiago. Earlier MWTrio members will guide master class for students of the local jazz institute. More info at TOUR section.